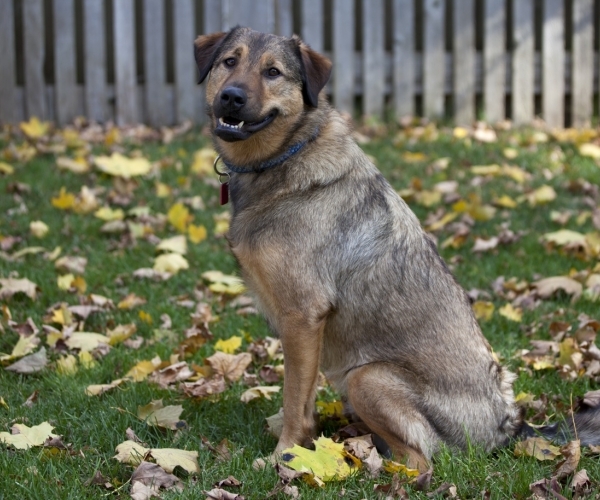 Bamboo is a medium sized Shepherd x Sheltie mix. Bamboo was given up because his family felt that they could no longer cope with his separation anxiety. He is on medication – the minimal dose taken once a day. He may be on it indefinitely but this will be monitored as time goes on. Bamboo now loves his crate and goes in very willingly. After all, he has his meals in his crate so only good things happen there. It is now his haven where he feels safe and secure. Animatch is looking for an active, patient, and experienced guardian who is ready to work with Bamboo through this difficult time and who will not throw in the towel at the first sign of a problem. Bamboo wants to please, he just needs direction. Animatch and their Vet will work with Bamboo’s new family. Please visit www.animatch.ca for more information on Bamboo or to fill out an adoption form.